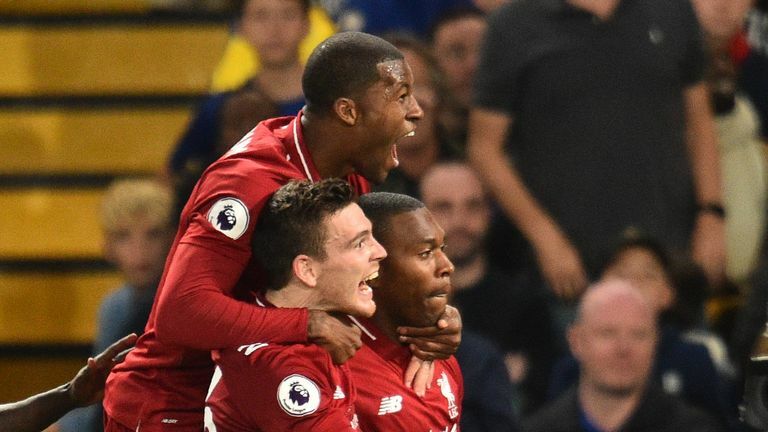 Daniel Sturridge scored a stunning late equaliser as Liverpool fought back to claim a 1-1 draw against Premier League title rivals Chelsea in an absorbing contest at Stamford Bridge on Saturday evening. Eden Hazard fired in the opening goal after 25 minutes, just days after coming off the bench to secure a 2-1 Carabao Cup win for Chelsea at Anfield. Mohamed Salah and Roberto Firmino had shots blocked on the line and Xherdan Shaqiri sliced wide from 12 yards out as Liverpool's hopes of extending their perfect start to the Premier League season faded. However, they managed to salvage a draw thanks to a stunning 89th-minute strike from former Chelsea striker Sturridge, who curled a 30-yard shot over Kepa Arrizabalaga. Salah went close to equalising when he took the ball around Kepa and then saw a shot cleared off the line by Antonio Rudiger. 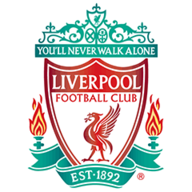 Liverpool enjoyed more of the possession in the second half but were frustrated as Kepa made a sharp save to keep out a low shot from Mane. Hazard spurned an excellent chance to make it 2-0 when he was played through on goal by a quickly-taken free-kick but failed to beat Alisson. Shaqiri then skewed wide from the penalty spot and Roberto Firmino saw a header blocked on the line by David Luiz as Chelsea looked as though they would hold out. However, Sturridge snatched a draw in memorable style as he curled a left-footed shot over Kepa from 30 yards out. Chelsea have won only two of their last nine home Premier League games against Liverpool (W2 D3 L4). Liverpool remain unbeaten in their opening seven matches of a Premier League season for the first time since 2008-09. Chelsea's Eden Hazard is the Premier League's top scorer this season with six goals - he has scored those six goals from just nine shots on target. Liverpool have only conceded two first half goals in their last 13 Premier League matches - both at Stamford Bridge against Chelsea (Oliver Giroud in May, Eden Hazard today). This was the 38th home Premier League game that Chelsea forward Eden Hazard has scored in - he has never ended on the losing side in any of those games (W34 D4 L0). Liverpool's Daniel Sturridge has scored 17 Premier League goals as a sub - only Olivier Giroud (19) and Jermain Defoe (24) have scored more off the bench in the history of the competition. Daniel Sturridge is the seventh player to score 50 Premier League goals for Liverpool, after Robbie Fowler, Steven Gerrard, Michael Owen, Luis Suarez, Fernando Torres and Dirk Kuyt. Hazard was bright throughout for Chelsea, but Luiz produced an assured display at the centre of defence. He played a couple of superb long-range passes, blocked a header from Firmino on the line and made two more interceptions than any other player on the pitch. He might still make fans nervous at times, but this was one of his better performances for Chelsea. Maurizio Sarri: "I think they are a step forward but I think also that we are closer than I thought one week ago. In the first two places, as you know, for me, is going to be very difficult because Manchester City and Liverpool are a step forward on us. So it is very difficult. But I think we can fight for the Champions League." Jurgen Klopp: "Six, seven times we had big chances. We gave them one proper chance, they used it and we didn't use ours. That's how life is. As long as we play like we did tonight we will win football games." 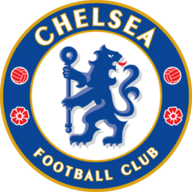 Chelsea host MOL Vidi FC in the Europa League on Thursday before travelling to Southampton on Sunday, live on Sky Sports. Liverpool go to Napoli in the Champions League on Wednesday before facing champions Manchester City next Sunday, also live on Sky Sports.